The name, locoweed, derives from the Spanish word for “crazy”. It refers to the effect most plants in this family have when a large quantity of the plant is consumed over a period of several days—an otherwise calm animal can become aggressive, run around with an odd gait, run into objects with its head held low, and finally, keel over dead. Crazy is an apt description. Livestock never recover completely from the poisoning. 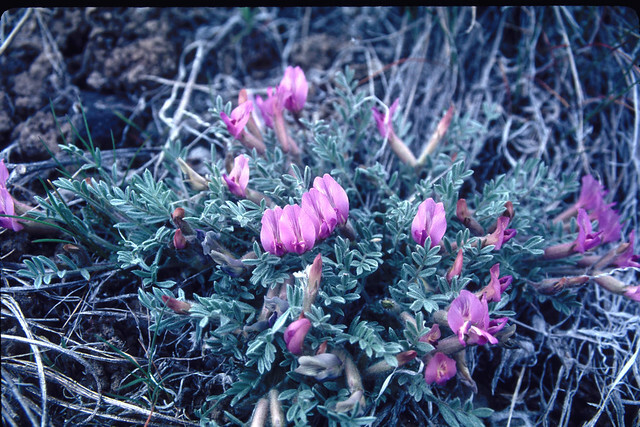 However, woolly-pod locoweed is a preferred food source for sage grouse, which eat the leaves and seeds. Native Americans mashed and boiled the plant in water to use as a head and body wash to stimulate circulation.